Do you ever feel completely uninspired? Stagnant? Like your energy is blocked? That’s how I’ve been feeling for a while and totally uninspired by my work area, it didn’t flow well, it felt cram-pt, claustrophobic and I might as well have been sitting in a card board box! Staring into space for days on end and not being productive, I guess we all have times like that. I finally had enough of feeling like that, so I decided to freshen up my surroundings! 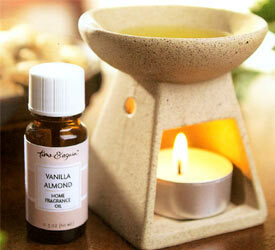 It’s good for your well-being, concentration and general focus to refresh your surroundings! Before I moved my desk it was squashed into a corner with my book-case down one side (which isn’t helpful because you really need to ‘stand back’ to see what’s on the shelves)! I am well-known for moving my furniture around, (usually at silly o’clock in the morning/ night)! I am not allowed to put shelves up/holes in the walls so I got inventive and used a small book-case and placed it on my desk at the back, I tried to fill it with practical things I need to hand and inspiring items. On the top of the Book shelf are three silver frames, a black and white photo of my great Nan a sketch I made inspired by some one else’s simple drawing of a cat (the blank frame is yet to be filled). The next shelf down has pictures of family members that have passed and I put black and white photos in the frame I bought from the charity shop! I like the idea that they are watching over me and motivating me. It also has Victorian glass bottles (a group of three) one of them is a very old ‘Eiffel tower’ lemonade bottle and a small ceramic white hinged dove trinket box. 🙂 In the end picture frame is a collage of inspirational and colorful pictures I have collected. 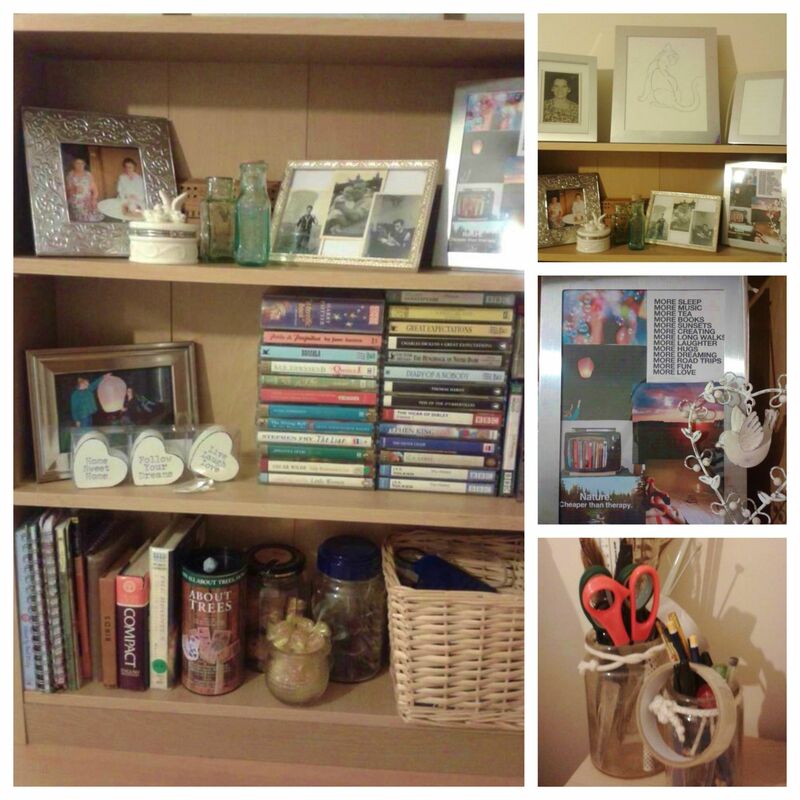 On the middle shelf, I have my favorite picture of me and my brother setting off a ‘lantern’ (the type they had in Disney’s ‘Tangled’ for my birthday in our garden, three wooden quote hearts, a cut glass crystal that my mum bought me (I really need to hang it so it catches the light) and many cassette tapes to listen to. On the bottom shelf I’ve got spiral note pads, (I am a list maker)! Dictionary, Bird Book, Poetry book, A novelty item ‘all about trees’ that was a Christmas present, my collection of corks in a glass jar, from all different celebrations (I will use in a craft….one day) 😀 My collection of unusual feathers (also in a glass jar) a small old glass container of honey and lemon sweets and a wicker basket of chargers, sticky notes and Laptop accessories. Down the side of the shelf are two very old glass jars I am using for my pens, pencils, scissors, knitting needles etc. When was the last time you refreshed your desk/surroundings/ Work Area? OH wow!! An fellow Essential Oil blogger! Whoop! Whoop! I love her ideas for General Office Invigoration….I am SO going to try this!